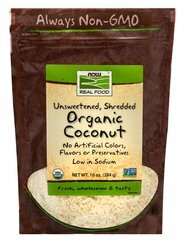 Naturally Sweet, Now Foods Shredded Coconut is unsweetened and perfect for baking, as a dessert or in granola. 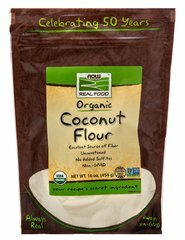 With Now Real Food® Organic Coconut Flour you can say goodbye to overly processed, grain-based flours and replace them with a wholesome, healthy, flavorful flour that’s free of gluten and other common allergens. Our Organic Coconut Flour is dried, defatted coconut meat and ground into a fine powder. 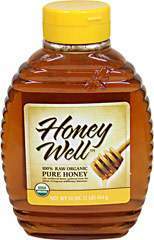 Use in baked goods and breads for a wholesome alternative to wheat. Now Foods Raw Almond Flour is an unblanched, gluten-free flour that is an excellent low carb substitute for other flours used in baking, either wholly or in part. With Almond Flour, you can add color, texture, richness, and flavor to your baked goods as well as everyday meals. Pure and simple ingredients go into every batch of Barney Butter. This delectably smooth and rich almond butter spreads evenly, making it ideal for snacking. The crave-worthy flavor pairs well with fruit, toast, crackers, or anywhere you would spread peanut butter. One tablespoon of creamy almond butter delivers about 3 grams of protein, so it's a peanut-free snack you can feel good about sharing. 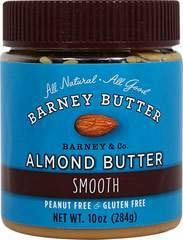 Barney Butter is processed in a peanut-free facility and is also vegan-friendly and gluten-free.